Stand Among Friends is a nonprofit organization that helps people with disabilities prepare for, seek and secure active employment. We guide them through the employment search - from developing essential professional skills, providing the tools to begin their job search, discovering the right opportunity, landing the interview, securing the job and offering support after they begin working. 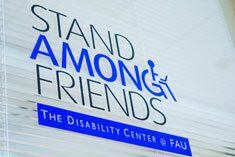 Stand Among Friends is a nonprofit organization that enhances the lives of people with disabilities. Our programs help them transition to greater independence; learn work, technology and social skills while emphasizing their talents, interests and education. We help them realize and achieve their career aspirations and widen their social opportunities— so they can experience a meaningful life, both personally and professionally. From unveiling the latest technology to presenting vital information that provides new answers, Stand Among Friends’ Education and Research efforts continually discover ways to help the disability community. 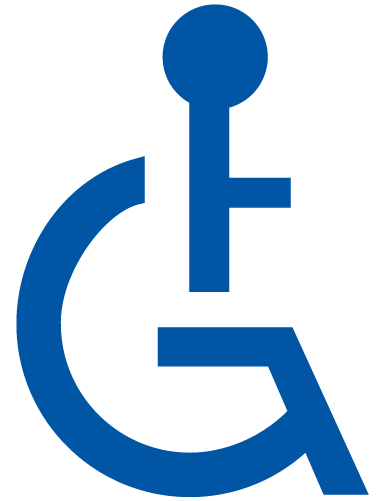 We are committed to educating others about working with people with disabilities. 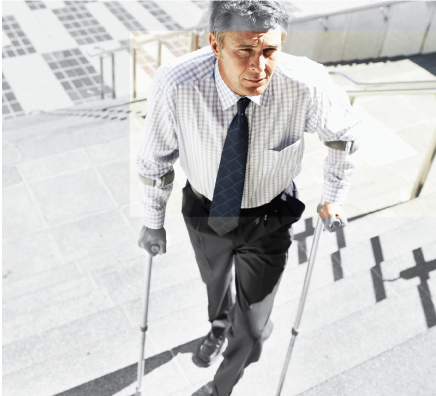 Our Disability Sensitivity Program is an effective tool to teach employers and employees about disability sensitivity and accessibility. Stand Among Friends’ Assistive Technology (AT) Program helps people with disabilities develop new technology skills to achieve competitive employment and improve their independence. Using AT brings an enhanced quality of life while expanding employment prospects. 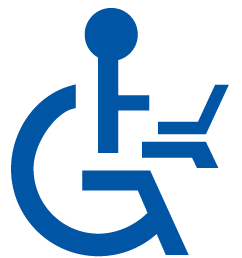 Our AT Lab combines a full complement of employment related services and houses state of the art devices to accommodate people with all types of disabilities. 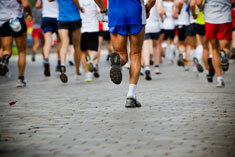 Join Stand Among Friends at the 8th Annual emb(race) - The All-Inclusive Race. Whether you run, walk, stroll, roll, use a wheelchair or hand-cycle, everyone can participate and emb(race) our differences. 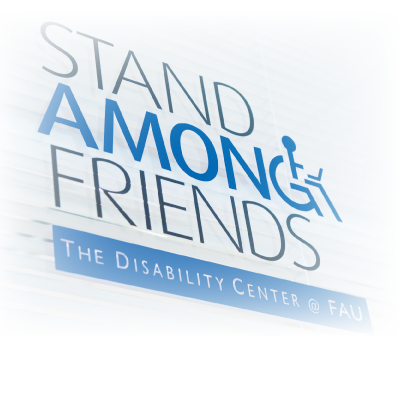 Stand Among Friends' Disability Center is located on the Florida Atlantic University campus in Boca Raton, FL. 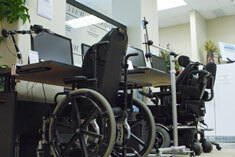 The center allows us to work collaboratively with FAU to perform disability, assistive technology, and research studies. 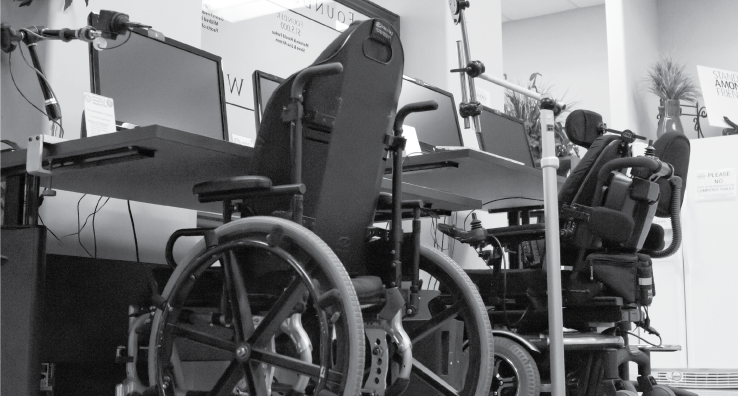 Our state-of-the-art Assistive Technology program and Lab features innovative technology specifically designed so you can perform functions that might otherwise not be possible. 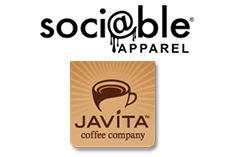 Help support Stand Among Friends with a purchase from two of our newest partners, Javita Coffee Company and Soci@ble Apparel.